Select the ‘SAUTE’ setting on the digital control panel and select the ‘START/CANCEL’ button. Add the oil, onion, garlic and salt and sauté until golden brown. Add the mince, tomato paste, herbs and stock and stir well to combine. Securely place and seal the lid onto the pressure cooker and ensure the pressure release valve is set to the sealed position. Press the ‘START/CANCEL’ button. Select the ‘WHITE RICE’ button (12 minutes) and press ‘START/CANCEL’ button and allow to cook until the pressure cooker has switched off. Release the pressure from the pressure cooker by turning the pressure release valve to the venting position. Place flour and butter into a food processor. Process on ‘LOW’ until mixture resembles fine breadcrumbs. Add water and process until the mixture forms a ball. Remove from food processor and gently press into a disk. Cover with plastic wrap and refrigerate for 30 minutes. Remove from plastic, cut into quarters and place pastry between two sheets of baking paper. Roll out to approximately a 3mm thickness. 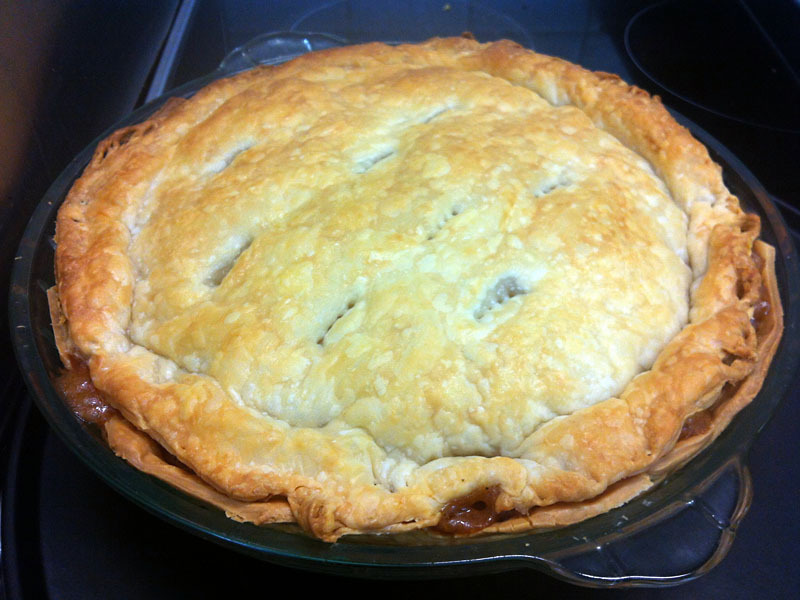 Place the pie dish onto the pastry and cut around it, leaving an extra 5cm around the base. Lightly grease the pie dish using canola oil spray and line with the pastry base. Place a piece of baking paper over the pastry and fill with pastry beads or rice. Place into the oven for 20 minutes. Remove from the oven and fill with pie filling. Place the sheet of puff pastry on top and cut away any excess. Gently pinch the edges using a fork and prick the centre of the pie 4 times using the fork to allow any excess moisture to escape. Brush with egg, using a pastry brush and place into the oven for 30 minutes or until golden brown.